We are so proud of this page! Included here are letters and photos that our clients have sent us before, during and after their trips. It is such a great feeling to know we helped make someone's "trip" into something spectacular and memorable. Thank YOU! 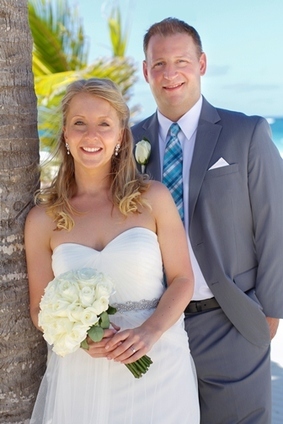 Shelli was WONDERFUL and SO HELPFUL when planning our honeymoon. 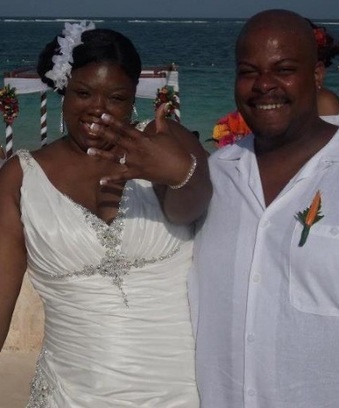 I knew I wanted to go to Mexico all along, but convincing my husband was another story. 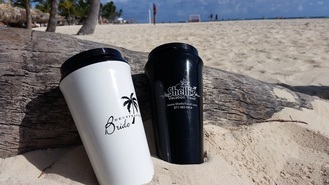 Shelli sent us plenty of excursion ideas, photos, etc. and was honest with all her feedback. I stupidly wanted to leave for our honeymoon the morning after our evening wedding and when I needed to make a last-minute change so we could leave a day later she was happy to help and totally understood. We booked shared transfers (I'd never done anything else) and Shelli upgraded us to private which was so sweet and much appreciated after such a long day of travel. 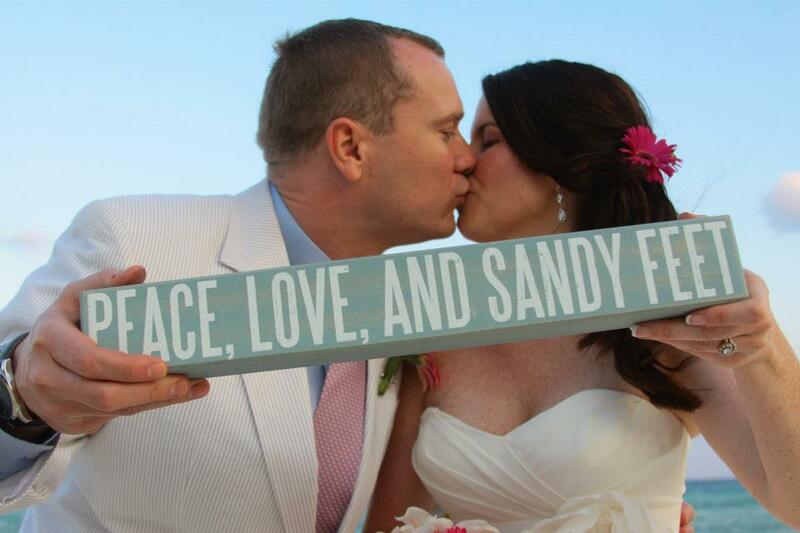 We had the BEST time on our honeymoon and loved working with Shelli. Fingers crossed we get to take our anniversary trip - Shelli's already helping us plan that! 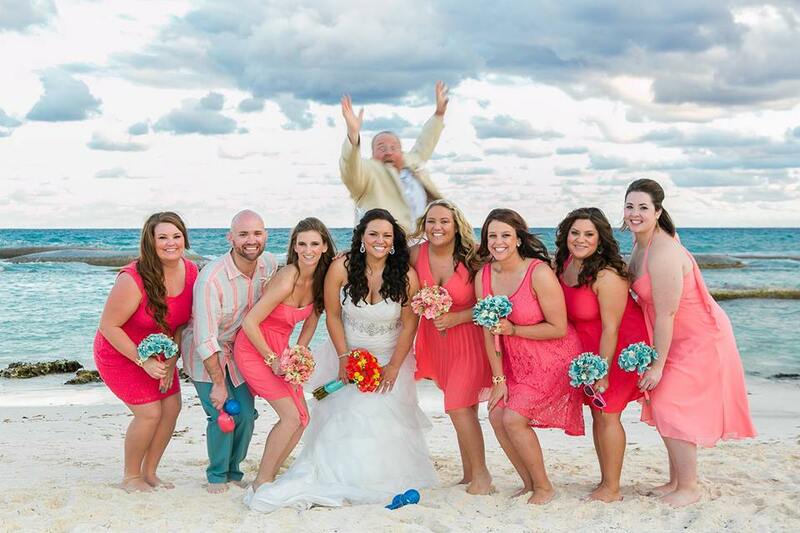 Shelli has made the entire destination wedding experience amazing. She helped us to plan a destination wedding for 24 guests to a resort that we had never been to, and arranged travel for all of our guests. She was fantastic about returning emails and responding in a timely manner to my endless questions and gave me loads of information when I requested it. She also dealt with a few issues that my guests had, all with professionalism and expertise. We experienced a bit of a travel emergency on our trip out of town, but she made herself available to assist that same day even though she herself was out of the country touring another resort. She has been accommodating to changes we made along the way and has done so in a very professional manner, even though I'm sure I was quite the "bridezilla" with all the details! 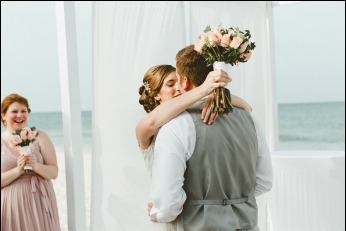 She helped me in choosing the right resort for our wedding with her vast knowledge and extensive expertise about all the different brands and locations of the resorts. There were so many options and without visiting, it was really hard to make a decision on which resort, whether the cost was worth the experience, and which wedding packages suited our needs. She was so knowledgeable and had visited many of them herself, providing pictures and a first hand account for us. Shelli and her travel agency is amazing to work with, I would recommend her services to anyone!! Most importantly, however, I think Shelli's willingness to do the little things is what truly sets her apart from other agents. She handled our guests so that we didn't have to. She sent welcome packets to our guests that included their itineraries, a protective travel bag, and helpful tips & tricks. She sent us several congratulatory cards in the mail (including a small gift) before we left, and another card once we returned. Last but not least, she took time away from her personal vacation to iron out minor issues with ours. In the end, we graciously felt like we always had an ally in our corner. Not only did that make planning the wedding and trip exponentially easier, but it made it possible for us to properly enjoy the entire experience. A+ Thank you, Shelli! Thank you again for everything! You made my first big trip out of the country a beautiful experience. She was just as wonderful for the guests. Some were more restricted in the time they could spend at the resort, so Shellie worked with them and the hotel to ensure they still received a reasonable rate and would be able to be included in our group. Everyone said she always got right back to them and walked them through all of their options and ensured that all of their needs were met as well. This was especially important when one of our guests didn’t realize he didn’t have his travel documents until midnight the night before he left. Shelli quickly emailed them to him so that he could carry them to Mexico. She also helped another guest plan an additional excursion. 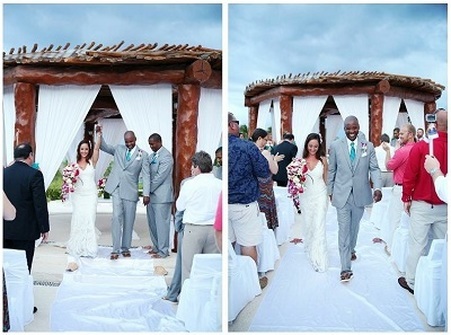 This guest wanted to stay in Mexico and travel around after the wedding. Shelli got her in touch with a great agency, and they loved the trip. 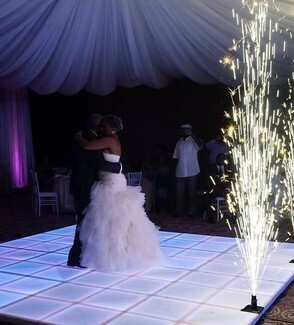 Everything was absolutely perfect! We had the best time ever! Thank you sooo much for everything! One phone call and I knew Shelli was the right one! Shelli is AWESOME! I recommend her to everyone! We knew we wanted a destination wedding but had no idea where to start. We had one call with a travel agent and it was a big no, I didn’t have a good feeling or experience with that agent. My man of honor had attended a wedding Shelli was the agent for and I am so glad I contacted her. One phone call and I knew she was the right one! Much like you know your fiancé is the right one! We were instantly excited. She makes time for her clients and becomes very invested in them. She becomes a friend. She got to know us and got a sense of what we wanted. She sent us suggestions that were the best matches for us in Mexico, Jamaica, Dominican Republic. We thought we wanted to go to DR. But when Shelli asked us questions and figured out what we wanted she told us to be open-minded. I was so hung up on location and Shelli was right it is about the resort. 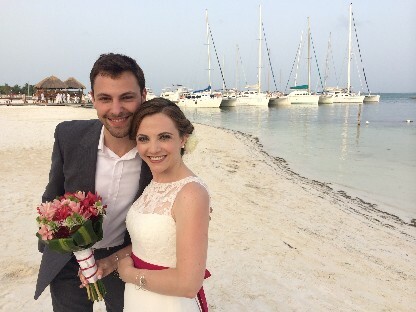 And yep we picked a great resort for us and our guests… in Mexico! And then the planning started. Shelli was such a great resource helping us pick a ceremony location at the resort and making plans. She planned customized trips with each of our guests and answered their questions. She sent helpful pre-trip advice to us and our guests. We planned for like 11 months and over those months Shelli and I emailed hundreds of times she always responded quickly, professionally, and became a great friend. 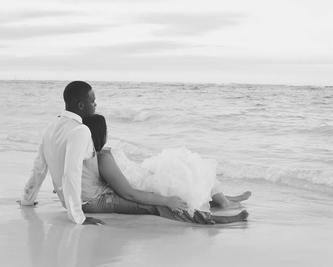 I have recommended her to many friends for their vacations, honeymoons, and destination weddings. We are going to start planning our next trip with her very soon! We had the most wonderful day of our lives! Oh, thank you Shelli! We had the most wonderful day of our lives! Everything went so well. Loraine was so great at the resort. We ended up getting the Villa for the whole time without having to pay extra. They took such good care of us. We didn't want to come home! Thank you so much for helping us make this day possible. We wouldn't of been able to do it without you. I have attached a couple of pictures of us. I will definitely recommend you to all our single friends! Thank you!! I took me a while to write this because I just needed time to adjust and soak in what an absolutely wonderful wedding that my husband and I had. I know that most of that was attributed to the help that I had by Shelli Nornes. Planning a wedding with 50+ people is alot, but imagine doing it out of the country! Shelli was extremely patient with my inlaws who could not speak alot of English and she remained professional the entire time. Everone one of my friends and family were able to either pick up the phone and call her or send her an email and she always responded promptly. She answered all my questions, arranged travel and airline and I could not be happier working with her. I have to say that I know at times my bridezilla may have come out and she still was just as wonderful to me. I would recommend her to anyone that asks. She is amazing at what she does! Shelli was a great resource and friend. Thank you Shelli Nornes! We would have never picked a resort if it wasn't for your help! Shelli is awesome! She dealt with all of us crazy people. She took care of all of our guests travel, customizing each persons trip. She was a great resource and friend to Greg and I. We had a great resort, breathtaking room, amazing welcome reception, beautiful wedding location, delicious ceremony dinner, a fun celebration at the resort bar, and a beautiful honeymoon with fun activities at an amazing resort! When “I grow up” I want to be like her!! 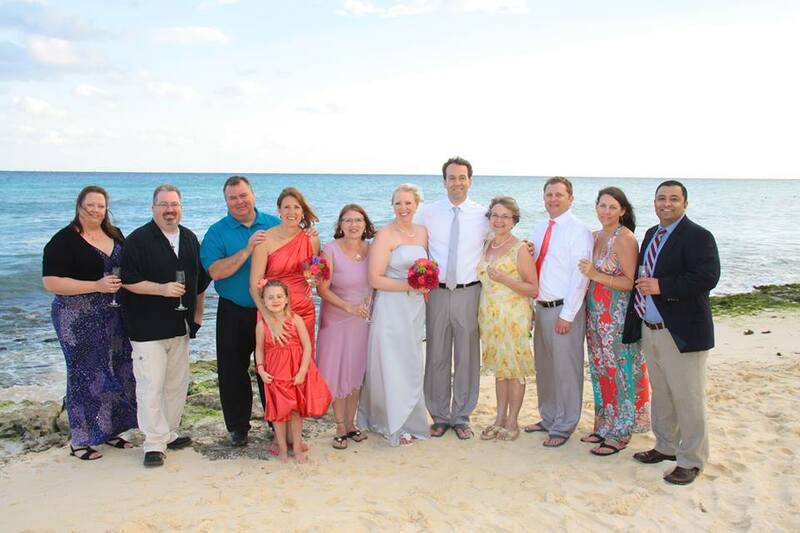 So glad we had Shelli as our travel agent and that we choose a destination wedding. We feel so blessed that we spent quality time creating lasting memories with friends and family. THANK YOU!! Shelli was professional and great to work with. 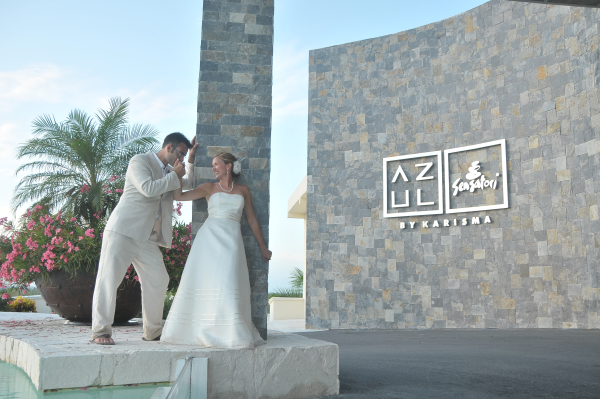 My husband and I worked with Shelli to identify a resort for our wedding in Mexico. Throughout the entire process Shelli was nothing but professional and great to work with. 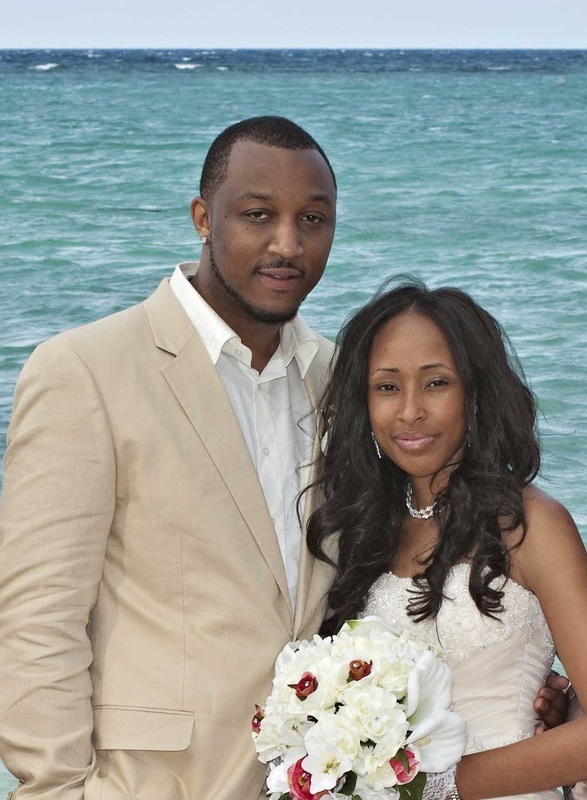 She was so responsive and knowledgeable about all of the different resorts in numerous locations. We decided to choose Azul Fives in Playa Del Carmen, Mexico and all I can say is that we had a fantastic time and so did our guests. She was also very accommodating to our guests when it came to booking travel and hotel arrangements and always kept us updated. Our wedding happened to fall the weekend after a Hurricane hit the northeast which is where we and all of our guests live. We were not sure if our flights (or our guests) would be leaving on time, if at all. Shelli reached out to everyone providing her cell number in case we needed any help and we were so thankful for that. 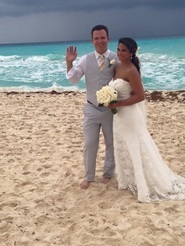 Luckily everyone got their safely and the wedding and time spent in Mexico was amazing. We highly recommend Shelli. 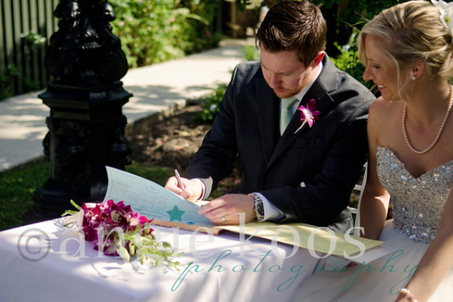 Wedding planning can be a taxing process and Shelli helped in any way possible to alleviate some of that stress. I would definitely recommend Shelli! Before contacting Shelli, I tried to do the wedding planning myself...but just could not get the prices I want. Thanks to Shelli, I was able to reserve a block of rooms at Dreams Los Cabos Resort at an amazing price!! Shelli was a big help in coordinating travels for my guests and answering any questions we had. Shelli was very quick to respond to my emails and helped facilitate any questions I had with my wedding coordinator in Mexico. I would definitely recommend her for any future brides. It helped make my destination wedding planning alot easier!! When we arrived in Mexico there were two guys waiting with our names on a sign and we had a private car to drive us to the resort. Once we got to the resort we were greeted with a glass of champagne and an aromatherapy towel to wipe our faces. Our onsite wedding planners were Janice and Barbara. They were fantastic. They made sure that everything was perfect. The wedding was decorated very nicely. The food was fantastic. We had a welcome party at the Wave Lounge and it was very, very nice. We also had our reception in the banquet hall and that was so fantastic. The food was a hit. Everyone kept saying how they had never had such great food at a wedding. The entire resort was awesome. It is a small resort so you get to meet all of the people who are there. We made some new friends and watched many weddings while we were there. Our two favorite restaurants were Blue and Tainan. Jaun was the best waiter ever. He remember our names and even remembered the drinks we liked. We had the luxury of having 29 people to come with us and they all have a great time and enjoyed everything. 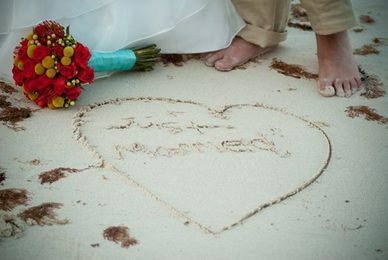 We would not change anything about our destination wedding. 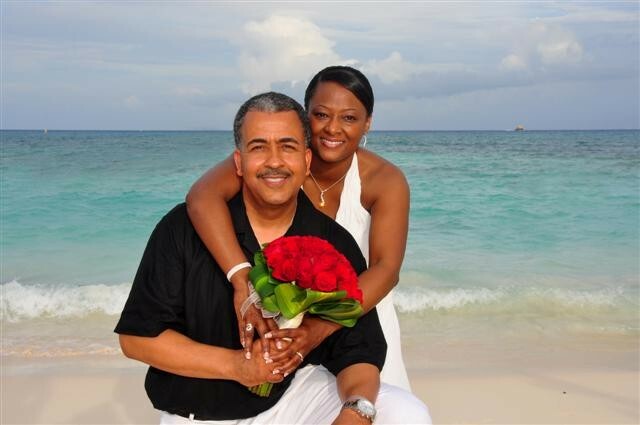 Again, we would like to say thank you to Shelli for helping us with our destination wedding. She was truly the best consultant ever! Our wedding will be a day that we will never forget! 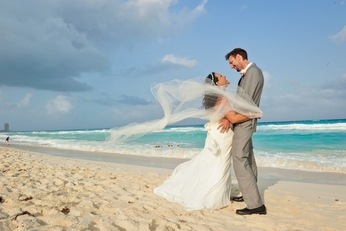 I am truly thankful for Shelli and destinationweddings.com. I could not imagine pulling this off without them. My guests are already asking me to plan a 1 year anniversary/reunion back to the resort. So Shelli, you may be hearing from us very soon!! !